Odd times in the morning reported No Swifts present. Monday 17th August 2015 - Swift observations along Main St, Burton In Kendal. Sunday 16th August 2015 - Swift observations along Main St, Burton In Kendal. 1100hrs One Swift heading East over the Clawthorpe side of Hutton Roof. Dont know whether local or transient bird. 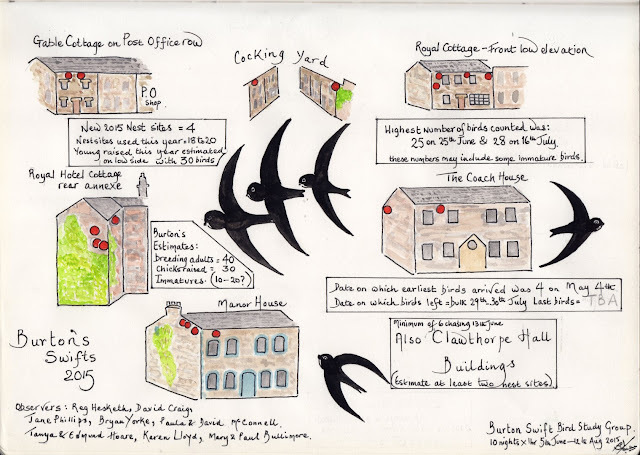 2100hrs - Two Swifts hawking the skies above Neddy Hill to rear of Post Office block. 2050hrs - 2 Swifts very high back of Gable Cottage at side of Post Office. Sunday 9th August - Swift observations along Main St, Burton In Kendal. 1900hrs - Still no Swifts showing in fact only 3 or 4 hirundines showing below Neddy Hill. 0900hrs - Quick parade along Main Street produced only one House Martin, no Swallows and no Swifts. Earlier rain and now dull cloudy and overcast, so all the Swifts and hirundines have probably found a good feeding area away from Burton. Will check again later. 1000hrs At least 11 Swifts seen at mid height to the North of Cocking Yard. Also birds are still in a nest in Cocking Yard and also in a nest on the gable building on Post Office Row. 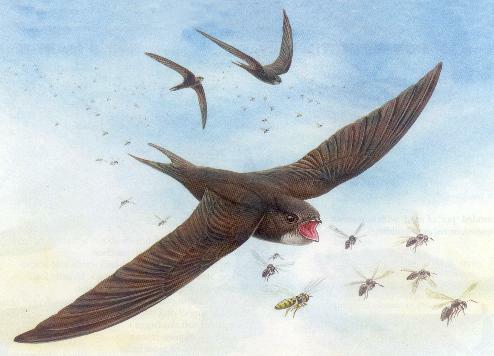 Thursday 6th August 2015 - Swift watching along Main St, Burton In Kendal 2000hrs to 2100hrs. 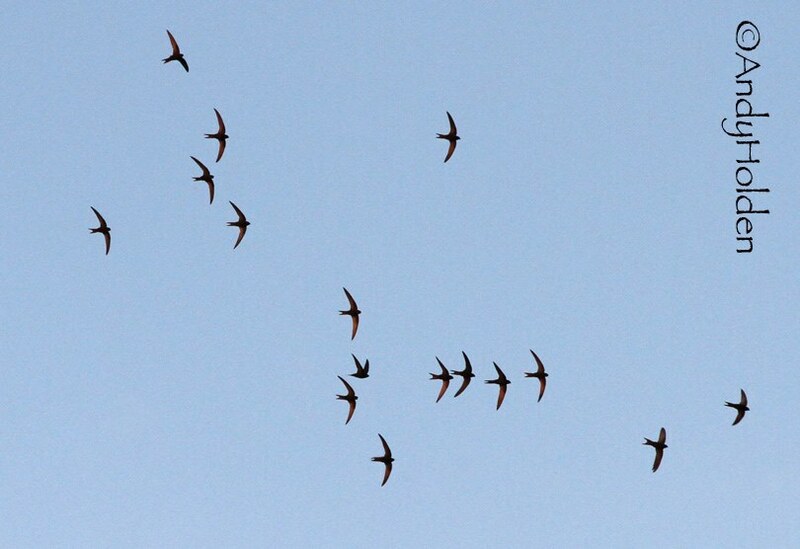 We kept our eyes pinned to the skies and eventually manage to confirm six Swifts in the skies over Neddy Hill. Tonight checking out the Swifts was Reg Hesketh and myself Bryan Yorke. The few birds we had tonight seemed to show a bias to the skies above the Manor House and probably the same birds to the Neddy Hill and Royal area. Whether this had any significance to breeding site locations or not we were not sure. Its looking very much like this could well be our last organised watch, although postings will still be put on here whilst the Swifts are still with us. Please keep checking our Blog over the coming days.